All The *Real* Makeup Struggles Covered… You NEED To See This! Let’s be honest, makeup can sometimes be *really* frustrating.If you love to be dolled up, you know all about the challenge flawless application of makeup can be. 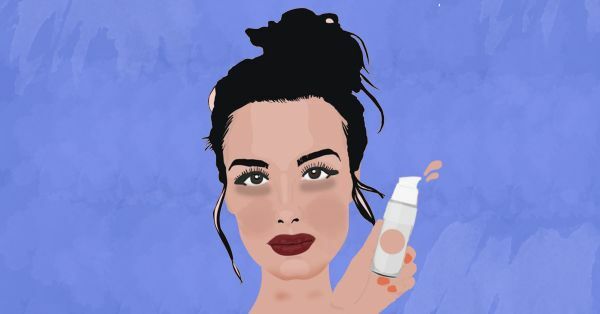 Here are 11 easy ways to deal with all your makeup struggles. If you constantly struggle with getting your foundation to look good, you need to revisit your application technique. Moisturize and prime your skin before you apply any makeup, it creates a good canvas. A damp blending sponge will give you natural looking airbrushed skin without looking too cakey or streaky. A pro tip to make your foundation glide on like a dream is to add a drop of facial oil to it. Is your makeup melting in the heat? You need a long lasting primer and setting powder that’ll lock everything in place come rain or shine. A primer is designed to blur imperfections, smooth your skin and also to boost the longevity of your makeup. Don’t skip the primer if you have a long day ahead. A setting powder is essential for setting your T-zone, this is the area most vulnerable to oil. Carry a setting powder with you for touch up’s on the go. Kylie Jenner has left us with a lot of envy, those perfectly pouty lips and the ever trending hair do’s. If you struggle with overlining your lips, check out this easy tutorial. You can also apply a lighter shade of lipstick in the centre of your lips to give the impression of a fuller pout. Don’t worry, if you make any mistakes, just use concealer to cover it up. Did you apply too much blush? No sweat, you don’t need to walk around with that clown face all day. Just take some foundation or compact on a sponge and lightly blend it over the blush. This is the easiest way to tone down the blush. Breaking your favourite makeup is a major bummer, but before you write it off, check out this awesome hack. All you need to do is add some rubbing alcohol to the broken pan and mix it up well. And that’s it! Your makeup is as good as new! The worst part about wearing eyeliner is having to deal with panda eyes the next morning. A quick trick to getting rid of that mess is using a Q-tip dipped in olive oil and rubbing it on your lash line. This will get rid of the toughest makeup stains while moisturising your lashes. Applying false eyelashes is not impossible ladies, it’s actually easier than it seems. Apply some lash glue and let it dry for 30 seconds. Look down into a mirror while you apply your lashes. Secure the lashes in the centre of your eyelid first moving on to your inner and outer corners. This makes the whole process way easier. Have to go for an event and forgot to get your brows done? Don’t worry, just fill in your brows with some brow gel and use concealer all around your eyebrows to define and highlight. This is the best way to hide a brow that needs to be plucked. Nobody will ever know! While applying makeup and painting your face may seem like fun, it’s important to take it all off before you hit the sack. Residual makeup could result in clogged pores and acne. If you wear waterproof makeup or liquid lipstick, the easiest way to get it all off is a cleansing balm and baby wipes. Micellar water works too! Getting mascara on your eyelids while you attempt to apply it in a hurry is one of the most frustrating makeup struggles out there. The best way to deal with smudged mascara is to allow it to dry. YES! Let it dry and then use a Q-tip or a small brow wand to gently scrape it off. Works like magic every time! Don’t worry, the two wings will never be identical. If you struggle with getting the winged liner, try using a business card or some sticky tape to help give you a straight line. Gel eyeliner and felt tip eyeliner are usually the easiest formulas to work with. Now that you know how to deal with these common mistakes, you slay lady!